Canada is an advanced country with advanced economy and infrastructure. Canada’s living standard, quality of life, employment opportunities, favorable government policies, ideal climate, etc. lure millions of migrants and force them to immigrate to Canada in huge numbers. Especially, people from Asian countries, i.e. India, China, and the other South Asian countries have a huge attraction for Canada Immigration. However, one thing that troubles them most is the getting adjusted to the new environment and communities here in Canada and also their limitations in terms of language proficiency. The English and French are the two main official languages of Canada. All the Government documentations & publications are available in both these languages across the country. Hence, proficiency in one of those languages is must if you want to establish your career here in Canada. The English is the most common language across various Canadian provinces. However, French is the major language in the provinces, i.e. Quebec, New Brunswick, Manitoba, and a few territories of Ontario. 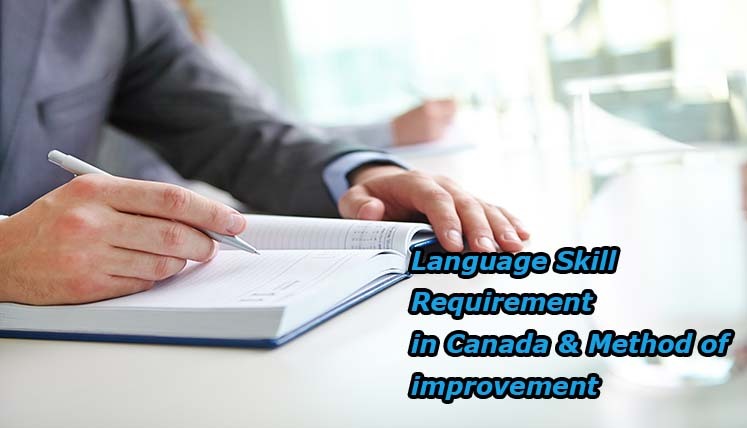 Proficiency in English or French language can help you many ways if you are looking to work, business, and study or permanently settle in Canada, i.e. Although proficiency in one of the Canadian language is necessary, however, if you strive for efficiency in other language as well, i.e. French, your chances for finding a job across various provinces will be boosted for sure. It may happen that your proficiency in English or French is decent; however, when it comes to implementing the same in your routine office work, you struggle most often. Hence, being an expert and fluent in the essential corporate words, phrases, or impressions etc. is quite necessary for any immigrant to Canada. In such a scenario, getting formal language training shall really help your cause. It is advisable to attend the formal language classes before you actually enter in Canada. However, there are options in Canada as well to attend such language training classes for further proficiency. There are many language classes or programs in Canada being funded by the local or federal governments. However, if you opt for private language classes, you would need to pay for the same. To know more about Government funded language training classes, you need to explore the territory websites, helping the newcomers to get settled. You can also register for the taxpayer-funded language training available in your area. Below are the various tests organizing and certificate issuing entities for both English and French Languages. TOEFL (Test of English as a Foreign Language– Often needed for colleges). How to get the further assistance regarding Immigration to Canada? How Easy or Difficult it will be to move to Canada in 2018? Which is the Easiest Pathway to move to Canada, Australia, New Zealand, and Germany? How is it to Move to Canada from Delhi?